Please know that you are not the only one who has felt this way or who has had some unkind, even harsh thoughts toward yourself! The struggle with depression impacts millions each year. 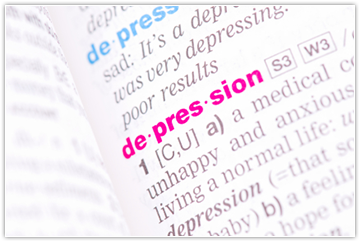 The National Institute of Mental Health noted that 6.7% of the U.S. adult population will experience depression in a 12 month period.1 The DSM IV (the manual used by mental health professionals to describe and diagnose mental health problems) placed the lifetime risk for developing depression at 10-25% for women and at 5-12% for men.2 Clearly, it is not unusual for people to struggle with depression at one time or another during their lifetimes. It is understandable that you may feel sad or depressed given your unique situation. The good news is that there is help available—and it is important to get help for this serious condition. Approaches to treating depression that have been proven to help others feel better include medication therapy, psychotherapy, and adjusting personal lifestyle choices. When struggling with depression, it is important to make an appointment with your physician in order to rule out any underlying physical causes. You and your physician may also decide that an anti-depressant will help you feel better. Anti-depressants may also help you re-capture some of your energy so that you are more able to begin working on any troubling situations that you are encountering. Our stories need to be heard, validated, witnessed. Yet some parts and meanings of our stories may be hidden from those closest to us—and even from ourselves—until we take the time to have an intentional conversation with someone who will provide a safe place for sharing and exploring your special story. Curious and accepting conversations sprinkled generously with compassion—not judgment—have potential to shed new light on situations and help us move forward into living a more satisfying story. Attention to nutrition, sleep habits, activity level, and stress management may be very helpful components of your plan to help you feel better. If your health care professional has given you specific recommendations, please follow them. You are probably reading this because you or someone you know is looking for relief. This is a great first step! Please don’t stop there and delay seeking help, thinking that you can tough this out alone. Putting off getting help will not make things easier down the way. Please contact me. We can work on this. Together.